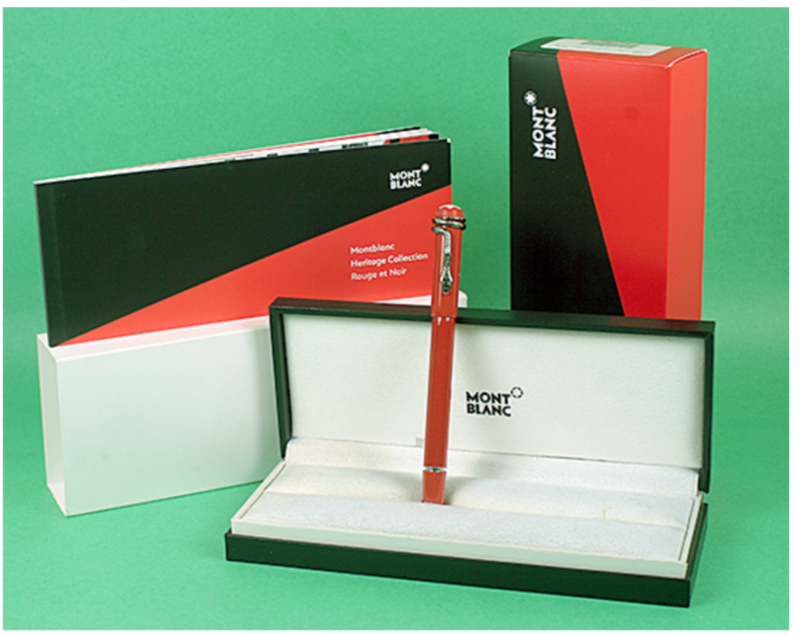 This is a 2016 Montblanc Heritage Collection Rouge et Noir Special Edition Fountain Pen. This is a piston-filler in the Coral finish, featuring a snake clip with Green Jeweled Eyes. 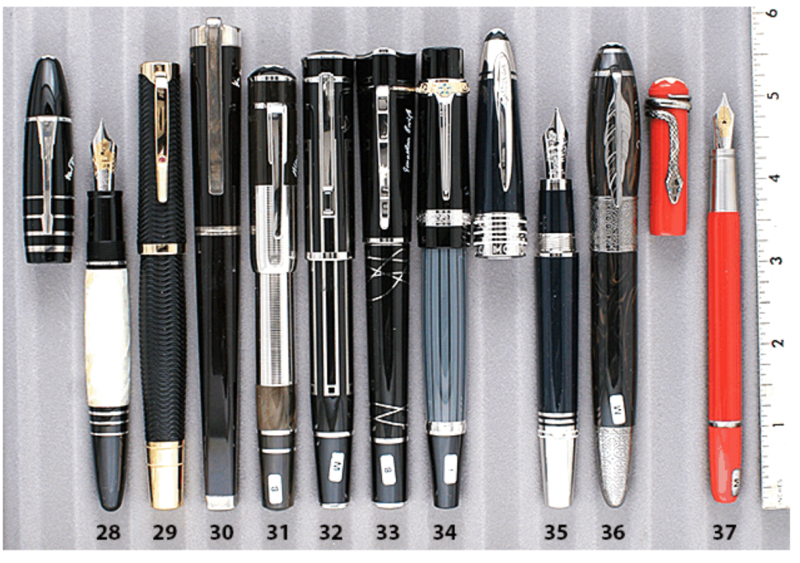 Medium nib. New-old-stock. Mint in original box with barrel nib size label, papers, outer box and outer sleeve. UPDATE: SOLD. Item #37 in Catalog #85.